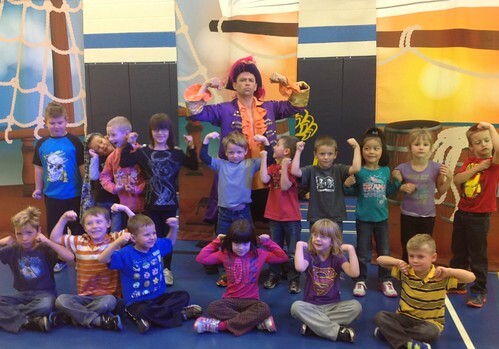 There was a purple pirate at our school this week! He did a play for us all by himself that showed us how important it was to be compassionate. Afterwards, he made some silly faces with us.